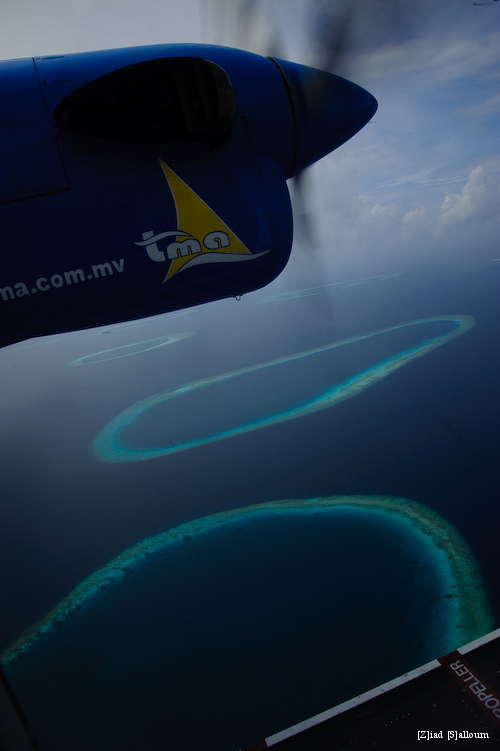 As promised earlier, here are some pictures of the view from a sea plane made in that most extraordinary of countries, the Maldives. They were made in December of last year. I was pretty much glued to the window, in awe. 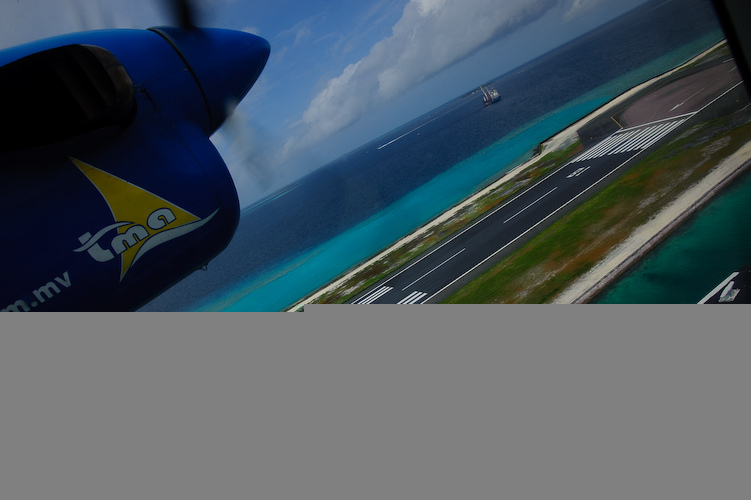 Above, taxiing by the quay before takeoff. 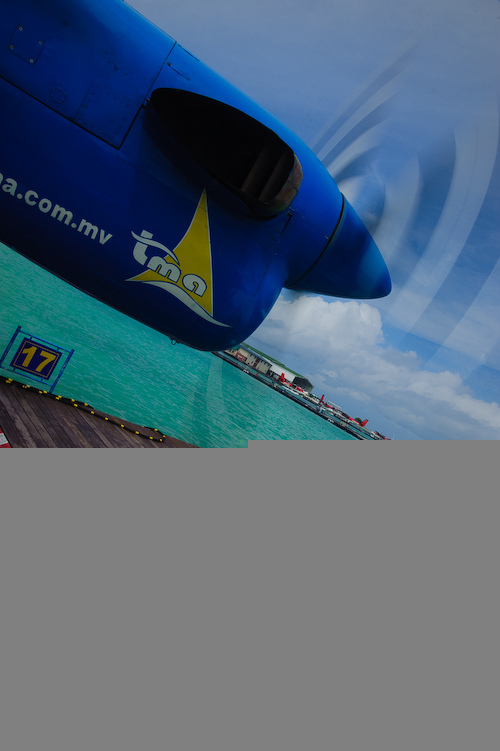 Above, the view onto the international airport in Male. It’s basically a single airstrip. 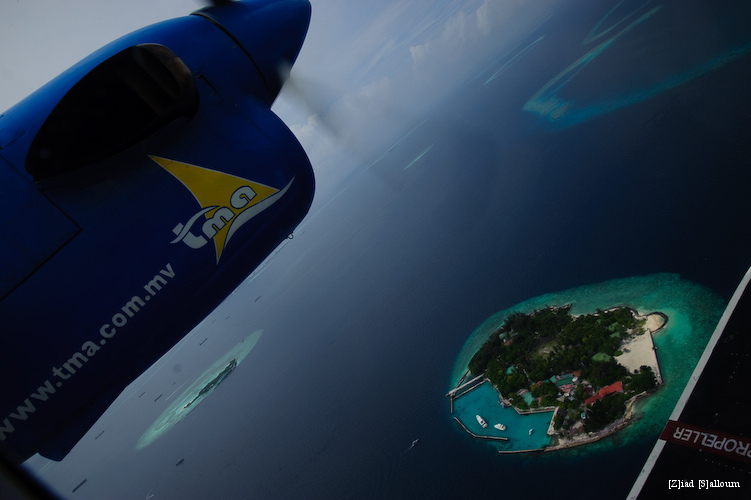 Above, islands, lagoons, and ships, as far as the eye can see. 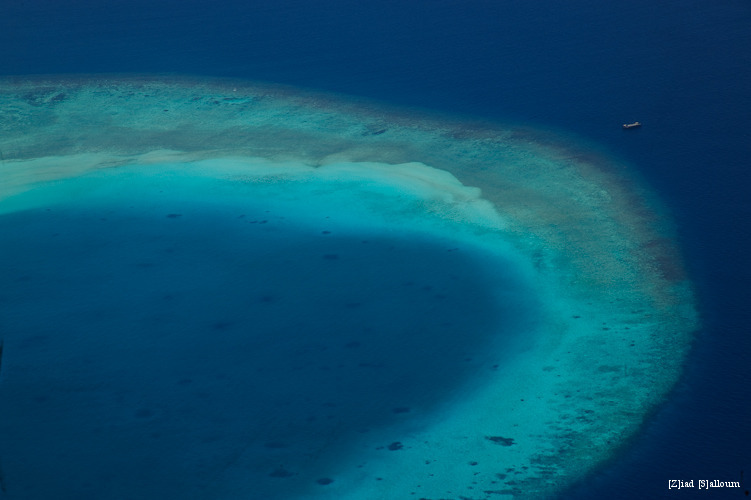 Above, stunning coral reef-ringed lagoons. Above, these lagoons are pretty big. That’s an oil tanker up in the right corner. Above, one of the resort islands. You can see the U-shaped string of bungalows out on the shallower waters of the lagoon. Above, a lone, remote and uninhabited island. 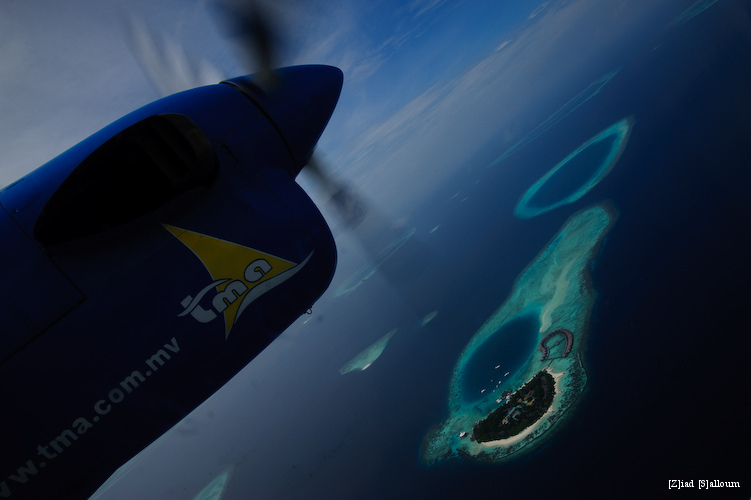 Seen on the return leg to Male. 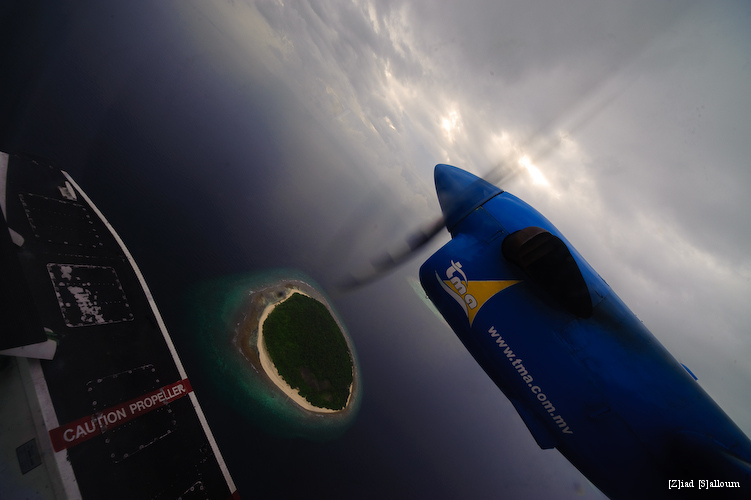 This was taken on my trip to the absolutely stunning Maldives in December of last year. It was my first time in a seaplane and I was all excited. 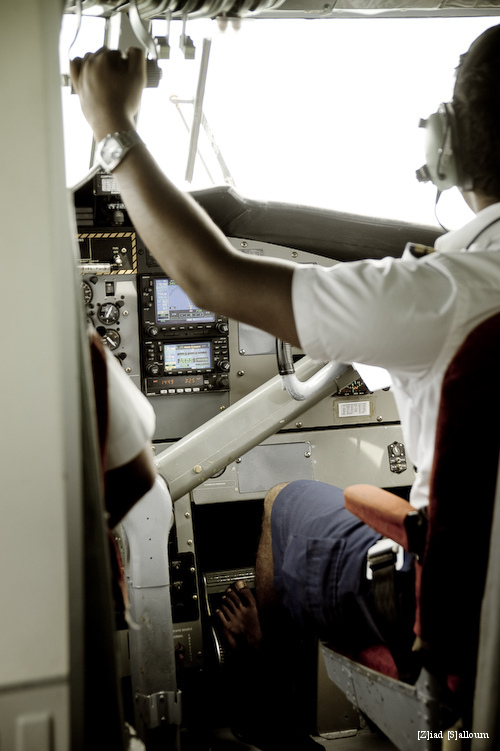 I must say, was a fantastic experience and a surprisingly smooth ride with glorious views from the confined but comfy space of the Twin Otter‘s tiny 19-seat cabin. I took this picture when I looked into the cockpit, the rare moment when I was able to tear myself away from the window. I loved that the pilot was so much in his comfort zone piloting the aircraft that he did so barefoot. Look for pictures of the view from the windows to follow!